The Antikythera Mechanism was discovered at the beginning of the 20th century by divers exploring a shipwreck off the island of Antikythera in Greece. Archaeologists set out to use a revolutionary new deep sea diving suit to explore the ancient shipwreck where one of the most remarkable scientific objects of antiquity was found. The so-called Antikythera Mechanism, a 2nd-century BC device known as the world’s oldest computer, was discovered by sponge divers in 1900 off a remote Greek island in the Aegean. The highly complex mechanism of up to 40 bronze cogs and gears was used by the ancient Greeks to track the cycles of the solar system. It took another 1,500 years for an astrological clock of similar sophistication to be made in Europe. Now archaeologists returning to the wreck will be able to use a new diving suit which will allow them to more than double the depth they can dive at, and stay safely at the bottom for longer. The video below is a presentation of the Antikythera Shipwreck, an exhibit at the National Archaeological Museum in Athens, Greece. 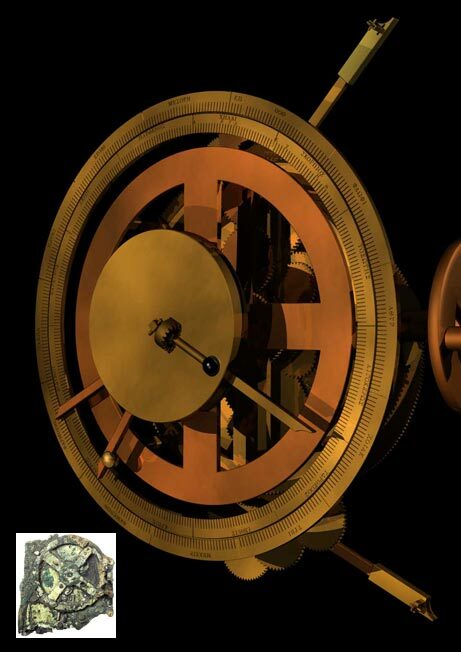 This entry was posted in Antikythera Mechanism, Archaeology and tagged Antik, Archaeology. Bookmark the permalink.